Breaking Stereotypes: Structural change for female refugee advocates | The Forum Network, hosted by the OECD: Shape ideas. Shape policy. Shape the Future. Women make up half of displaced people around the world. Yet, policy and practice in the area of displacement and migration are often gender-blind. On the one hand, the approach of treating men and women identically tends to overlook important gender considerations, such as putting in place "basic health services" within a refugee camp, which include access to a general practitioner, but do not include access to sanitary products, a female doctor, nor a gynaecologist. On the other hand, "inclusive approaches" tend to imply that women are vulnerable, dependent beings, along with minors and the elderly. At Women Refugee Route (WRR), we believe there is a middle way that applies a gender perspective without degrading women and additionally recognises the skills, capacities and identities of women in a refugee situation. What is the impact of a "gender-blind" approach? Firstly, it can be seen in the lack of gender-segregated data on displaced people and migrants. 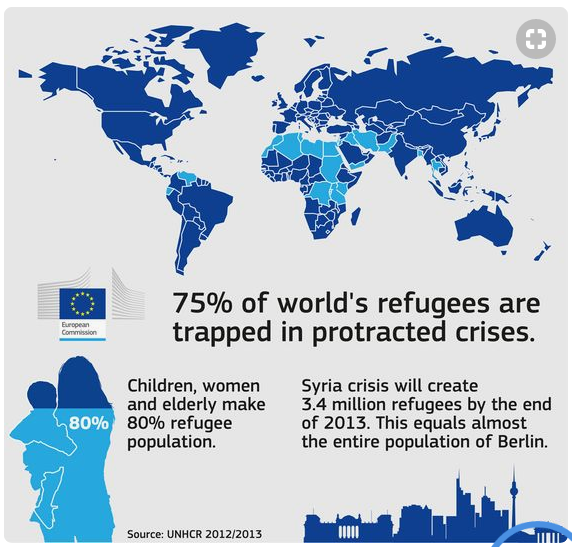 An example is this infographic published by the European Commission at the occasion of International Refugee Day in 2013, in which women are presented as part of one category together with children and the elderly. Secondly, the Refugee Convention of 1951 does not explicitly state that a person may seek asylum because they have faced persecution because of their gender. Today, legal systems in Europe and around the world are still inconsistent when it comes to recognising gender-based refugee claims. For example, Belgium has a list of safe countries, which does not include gender specific differences, and it routes asylum-seekers from these through an accelerated procedure, while France and the UK have gender-specific differences in their lists of safe countries – for some, the country may be safe for men but not for women. Lastly, today’s decisions on refugee law and policy are still made by male-dominated groups that have not themselves experienced being a displaced person, migrant or refugee. In addition, policy is increasingly being done by way of executive measures based on procedures lacking transparency. The European Council, which is currently the main decision-making organ on EU refugee matters, provides an accurate illustration of the gender and background imbalance in many such bodies. WRR is working to change the system of decision-making in migration policy by including refugee women in the process. We try to understand women as individuals in their particular social or cultural context. At the same time we look at their potential as actors for change for themselves and others. This approach aims to create adequate opportunities for these women, as well as support their individual and collective actions. Through our work with women living in refugee camps across Europe, we have learnt at first-hand how the absence of gender-responsive migration policies affects women living in displacement. We observed that women face an ongoing lack of access to information, knowledge of their legal status and rights, resources to develop their skills and access to support networks and advocacy tools. While it can be argued that all refugees face such challenges there are additional difficulties faced by women, such as information sessions being organised in the evening when women may not wish to go out in the dark or do not have childcare available. Since its creation, I have represented WRR and participated in key policy processes at the international, European and local level on a voluntary basis. To us, it is important to increase the number of female refugee advocates. This is why we work with refugee women on the ground to deliver advocacy training designed to provide them with information on their rights, as well as tools to enable positive changes for themselves and their communities. 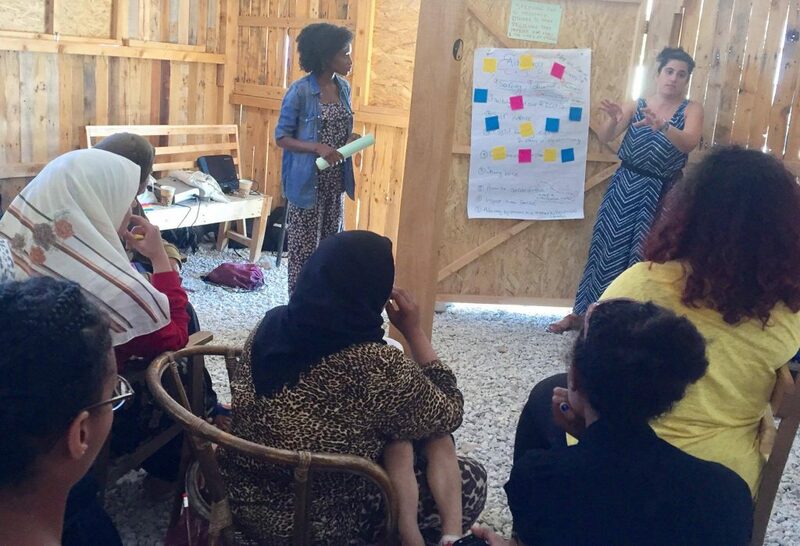 This past summer, WRR provided training for refugee women and volunteers in Athens and Lesbos. The WRR Forum Week on Lesbos included a two-day advocacy training programme aimed at providing participants with the tools to advocate for the changes they wish to see for themselves, their relatives and communities. The training started with a session on “Why we need refugee women as advocates”, in which I shared my story and motivation to found WRR, with a view to empowering others. The session on breaking stereotypes guided women who were discovering their identity, helped deconstructing stereotypes and set the basis for acting with more confidence in their daily lives. The sessions also covered international refugee law as well as their rights as women and asylum seekers in Europe. 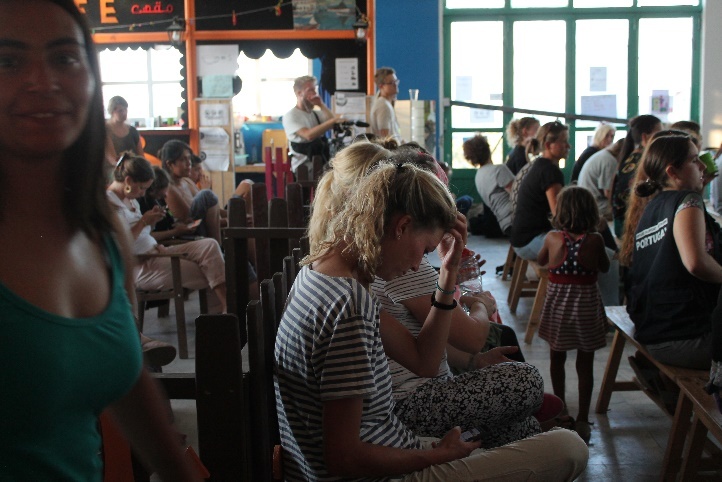 The public speaking and creative thinking session inspired one participant to volunteer for the subsequent dialogue event, which brought together organisations working on Lesbos, local press, individual volunteers and refugees. At the dialogue event, she took the stage to share her insights on the challenges for women living in the camps on the island, as well as her views on change for women in the local, but also European, context. Firstly, gender-segregated data needs to be collected to gain a clear overview of the problems at stake. Secondly, the silence surrounding the realities and specificities of women’s situations in displacement needs to be broken; women should have access to safe spaces in which they may talk and may be heard. This could be achieved both by putting in place positive actions for women supporting their empowerment and by including both men and women in a broader discussion on gender issues. Thirdly, a control mechanism should be designed to ensure that any positive actions are implemented and flaws can be effectively and efficiently corrected. Selecting a gender committee which acts as a monitoring body may provide a good way to mainstream gender in law and policy, in combination with a reporting structure. Gender mainstreaming should not be included in policy making only, but also in policy implementation and evaluation. This is the only way to effectively reach gender equality for refugee and migrant women.